…but it’s not JUST Japan. The awesomeness of Japan can’t be described in just a simple title so let me say that Japan was definitely one of the most fun and exciting places that I’ve visited so far! 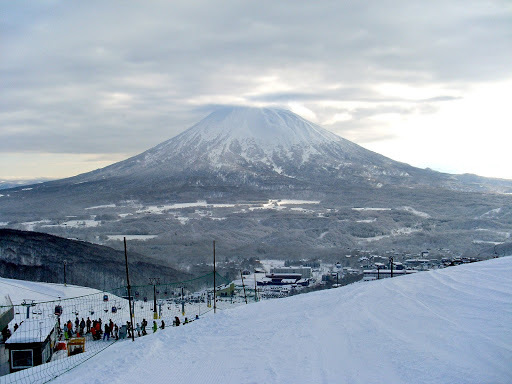 So we started off in Niseko, in Sapporo. It’s a ski resort, which, once again it basically owned and run by Australians (we’re everywhere in the world these days!). 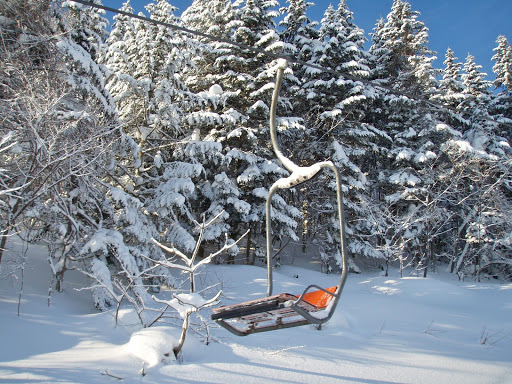 Niseko has the best snow that I’ve ever come across, and it has so many different runs suitable for all different levels of skiiers. That said, this resort is probably better for the slightly more experienced skiiers, as you will have a better time on the tougher terrain! The sights around the mountains are gorgeous, and you can bus it over to other resorts in the area to see what they have going for them! There are some gorgeous restaurants in and around Niseko aswell, but my favourite was definitely the Mongolian Yurt! Not very Japanese, perhaps, but very good food all the same! Then there were a couple of great sushi places, a great Korean Barbecue restaurant and a place where you can cook your own okonomiyaki on the hotplate in the middle of the table! Yum! 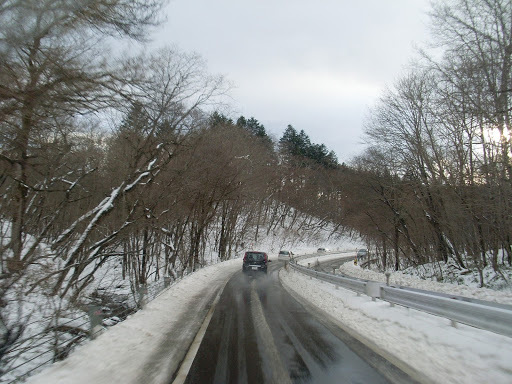 We stayed in The Vale in Niseko, which had literally just opened when we stayed there (January 2010). The rooms were spacious and ultra modern, and the building was 20 metres away from one of the main lifts! It had a pool that was half indoors, half outdoors, which was really cool to sit in at night and watch the night skiing up the mountain. There were also onsens, which are like Japanese hot mineral spas, which were great after a long day of skiing! We also went snowmobiling in Niseko, which was so much fun! It doesn’t matter if you’ve never driven on before, or even if you’re old enough to drive, you can still have a go! So much fun, and definitely do it if you get a chance! After 9 days in Niseko, we head to Tokyo! Oh. my. gosh! So Tokyo is definitely a city that you have to visit in your life! There are like a million things that I loved about Tokyo, but here are…say, my top 5! 1. The 100 yen shops! So when I was in Japan, 100 yen was about $1.20 Australian. It started raining one day when we were out exploring the city, so we quickly ran into the nearest 100 yen shop (and believe me, they’re everywhere, like Starbucks in America!) and bought umbrellas for 100 yen each! And we still have them today, so they weren’t even bad quality! 2. Karaoke at midnight!! There are karaoke bars all over Tokyo, and we went to one at about midnight with my family and some family friends. In Japan, young people go to Karaoke bars because you hire the room, and for the time that you’ve hired the room, you get as many drinks as you want! Pretty good really! Before I got the karaoke bar, I had the idea in my head that it would be some room with like a million people watching you, but it’s not. It’s a little tiny room (but you can hire larger ones) with a couple of couches, a TV, some microphones and a very, very big book of the songs that you can sing. So much fun! 3. 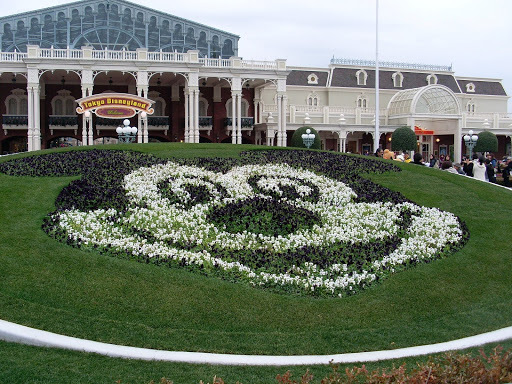 Tokyo Disney! This was my first experience with Disney and it was definitely amazing! The day that we were there, there were hundreds of girls dressed in Kimonos for a coming of age ceremony! It was pretty amazing! And I know that Disney isn’t really that real, but going to Disneyland definitely makes it feel like it is! I loved the castle, and the rides, and THE PARADE! Oh my gosh!! Even though I wasn’t a little kid when I visited Disneyland, I feel like whenever I get a chance to visit again I will still enjoy it just as much! The parade was so amazing and awesome, and it was so much fun to watch. 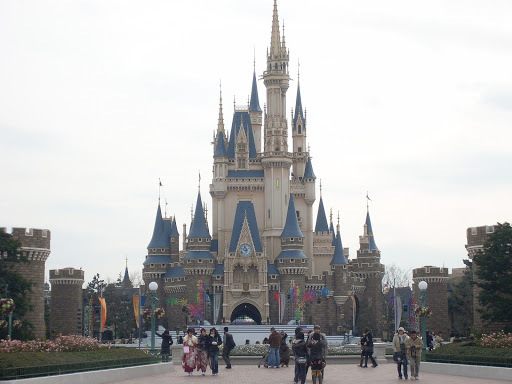 That said, just bear in mind that if you do go to Tokyo Disney, some of the rides that have stories in them don’t have an English soundtrack or subtitles. I mean, it’s not a massive thing, because you can still get the gist from what’s going on onscreen, but just remember that! 4. The food! Some of the restaurants in Japan might be on, say, the 7th floor of a building. So if you don’t know the city then it’s so hard to find places! Luckily, we had a family friend and his friend to show us around! Because his friend was a local, we went to some awesome restaurants with some amazing food! I loveeee Japanese food so so so much! But without help, we never would have found some of these awesome restaurants! That said, one of the weirdest things I saw on a menu in Japan (which I just didn’t have the courage to try!) was pickled fish guts…for breakfast. No thanks, but thanks anyway! 5. The shopping! Japan has some of the weirdest and most wonderful things for sale that I’ve seen! Japan had USB’s shaped like characters before anyone else, and waterproof MP3 player? Who would’ve thought! Some very weird fashions too, but I’m pretty sure that Japan is like 2 years ahead of Australia in fashion, so I’m sure we will get it all eventually. However, Japan is quite expensive. Electronics are quite a bit cheaper than Australia, but other stuff can get quite pricey so watch out! I loved visiting Japan, and I could have spent way more time there than we did! There is so much to do and see, and if you’re looking for a fun and action packed holiday, definitely go to Japan!